Looking for some great Orlando Noodle restaurants? You’ve come to the right place. 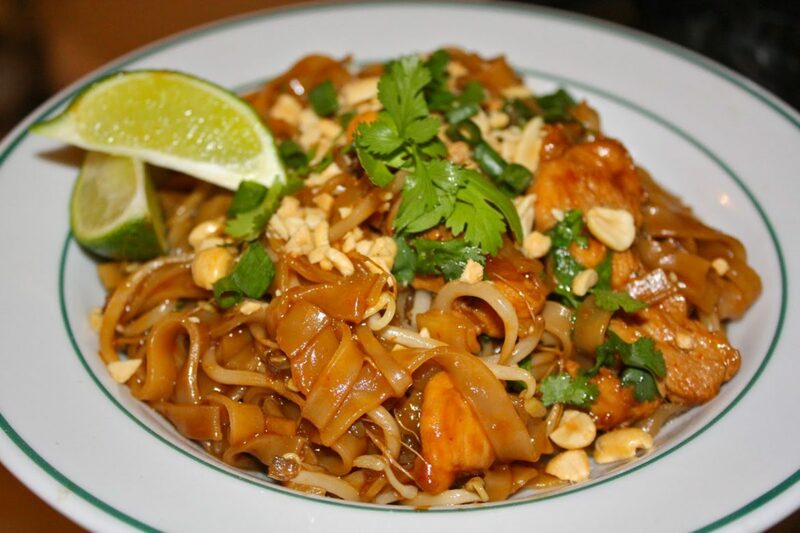 Orlando has lots of cool places to eat delicious noodle dishes. If you’re looking for an authentic Orlando noodle restaurant that could become a main-stay in your life, read on. Noodles have a special place in my heart. Really…I’ve been known to drive 30 minutes for good LoMein. Here’s a quick rundown on where to enjoy some delicious ramen, pho, and other noodle delights. 1. Ahn Hongs: Vietnamese Hipster Pho Noodle Restaurant Deliciousness! This (some what disheveled looking) Vietnamese joint really does have phenomenal Pho. You should go! And it’s as cheap as you’ll find it in town. I’ve been to all the Pho places in the Mills & 50 area, and this little Vietnamese restaurant always wins me back. Note: They will not make your take out order until you actually walk in the door & ask for it. But most things take under 10 minutes to make there, so no biggie. Their delicious Singapore Laksa Curry has amazing noodles, along with chicken, shrimp, tofu and egg. Wowzers! For under $9, it’s a steal. Note: They also have a great beer selection and plenty of wine. The small cod fish plate is also surprisingly good! Okay, this is a semi-dumpy looking hole-in-the-wall Chinese place. They don’t even have a website. And admittedly, it’s not as good as it was 10-years-ago, but it’s still one of the best places you’ll find authentic Lo Mein with true flavor. I recommend ordering the Veggie Lo Mein “add curry, make spicy, and add $1 of beef” to it. This is my tried and true way to get it made right. Their Pad Se-Ew is DELICIOUS. It’s got the perfect level of noodles and veggies. The brown sauce is just genuinely done right. I love the vegetarian one with the crispy tofu and fresh broccoli. They are right on the money with their Drunken Noodles. Not easy to get right, but they nail it. While this is not really an Orlando Noodle restaurant, per se, they really excel at all their noodle dishes. After you’ve been to the places mentioned above, you’ll be ready for my second post (coming soon!) on Orlando food trucks not to miss. Thanks for reading! Love the post! Noodles are my fav! Cant wait to check this out! Thx!